Vintage style earrings. Two centers are 0.80 Total weight, The rest 18 diamonds are 1.91 carat GAverage SI1. 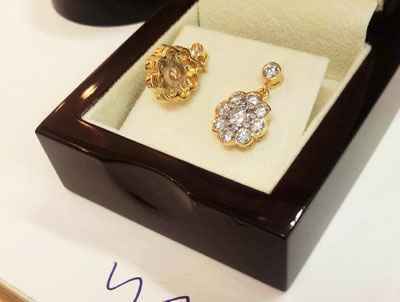 Vintage style diamond earrings. Two centers are 0.80 Total weight, The rest 18 diamonds are 1.91 carat G Average SI1. "This is the perfect ring!" 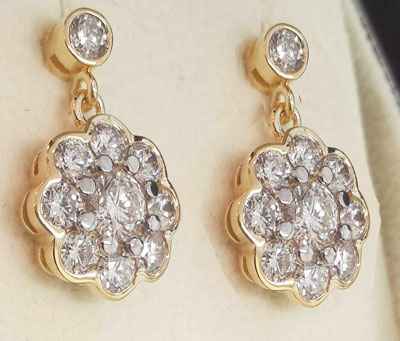 Vintage style earrings. Two centers are 0.80 Total weight, The rest 18 diamonds are 1.91 carat GAverage SI1.